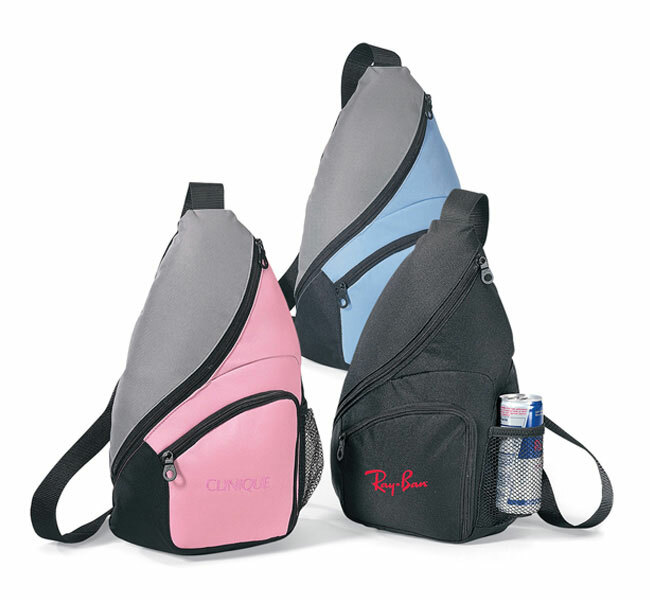 This modern sling pack brings style along for the ride while promoting your brand / Your Logo / Your message every where. - FREE Imprint in One Color One Position with a 1st time Screen Setup 55.00 per color per position. Ask for details on additional color or position imprint. - or Back panel center 3" dia.